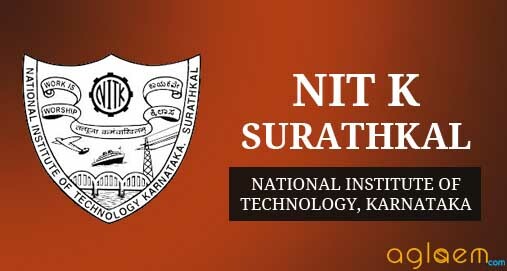 NITK MBA Admission 2019 – National Institute of Technology Karnataka, Surathkal has released application form for admission to the MBA Programme for the academic year 2019-21. Interested and eligible candidates apply on or before the last date as per schedule mention below. Candidates can check Eligibility, How to Apply, Fees etc. for NITK MBA Admission 2019 on this page is given below. Latest: NITK has released a Provisional list of Candidates selected for MBA Programme 2019. Scroll down to check the same. Applications are invited from Indian citizens for admission to the M.B.A. PROGRAMME 2019-21. The details of the admission process are given in the table below. Read all the instructions carefully before getting ahead with the application process. NITK has released the provisional seat allotment of Candidates selected for MBA Programme in the School of Management who have gone through three-stage selection process successfully. However, candidates may please note that this list is only provisionally, it may subject to further changes at authority discretion. Click here to check the provisional list of candidates selected for MBA Programme 2019. 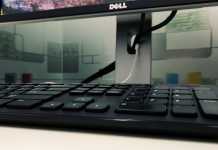 The prescribed application form for MBA Programme can downloaded from the Institute website www.nitk.ac.in. A direct link to download the application form is also available in this page. Interested and eligible candidates can fill their application on or before the last date of application. Candidates must ensure their eligibility and other criteria before filling the downloaded application form. Candidates can also download the application form from the direct link provided above. The application form can be duly filled and sent to the Asst. Registrar (Academic), National Institute of Technology Karnataka, Surathkal, Srinivasnagar, Mangalore -575 025, Karnataka State on or before the last date prescribed along with the Application Fee Payment Receipt, paid by e-transfer to the following Bank Account. Beneficiary Name – Director, NITK, Surathkal Bank Account No. – 10175365060 Bank and Branch Name – SBI Surathkal IFSC Code – SBIN0002273. Bachelor’s Degree in any discipline from a Recognized University with not less than 50% marks (or Cumulative Grade Point Average (CGPA) of at least 5.5 in the 0-10 scale grading system) in the aggregate taking into account the marks scored in all subjects of all the University examination conducted during the entire prescribed period of the degree programme. However, this prescribed minimum marks shall be 45% (CGPA of at least 5.0 in the 0-10 scale grading system) in the case of SC/ST. NITK will released the list of the shortlisted candidates for the selection process. Candidates will be informed through email/call/post as well, though this confirmation is not mandatory to be eligible for further process. Interview call letter notice will be available for both the locations(Karnatka & New Delhi). * 3% of the seats are reserved for Physically challenged candidates. Admission is based on the valid Rank/Scores obtained in the CAT/GMAT – 2018, Group discussion and Personal Interview. The selection for MBA programme is done separately by the Institute during March and is based on the criteria specified below. * Valid GMAT scores as on the last date of application. GMAT scores obtained in the 24 months prior to the last date of application will be considered. Note: Students will have to make their own arrangement for accommodation. No request for accommodation will be entertained. Admission order issued by Competent Authority. Original marks card of qualifying examinations (Ist to Final Year). Original Score Card of CAT/GMAT – 2018. Bachelor’s Degree Certificate/Provisional Pass Certificate issued by the University. Date of Birth Certificate (X Std./SSLC). Transfer Certificate issued by the college last studied. Persons with Disabilities (PWD), if applicable. Note: For OBC certificate candidate can download the prescribed format from the NITK website (i.e. www.nitk.ac.in). Provisional Fee Structure for M.B.A. Programme for the year 2019-21 (I & II year) is as follows. Semester Fees I Sem. Rs. II Sem. Rs. III Sem. Rs. IV Sem. Rs. # Tuition fee for candidates admitted under DASA Scheme is US $2000 per year (SAARC Country US $1000) per sem. Tuition fee to be paid as Demand Draft in favour of “Director, NITK, Surathkal” payable at Mangalore in US Dollars. Refund of Fees: Any student who withdraws admission before the closing date of admission is eligible for the refund of all the fees and deposits, after deduction of a processing fee of Rs.1000 /- (Rupees One Thousand Only). For complete detail of NITK MBA Admission 2019 – Download Information Brochure.